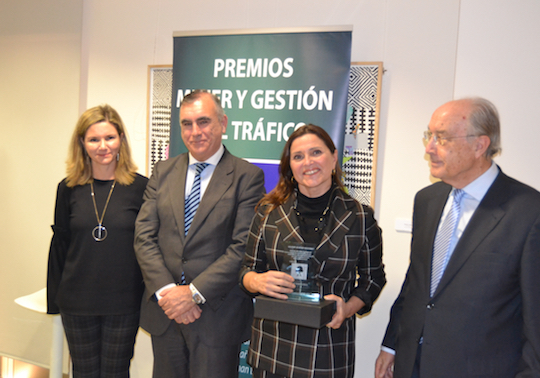 Dr. Cristina Esteban, Secretary of INTRAS and researcher of the DATS research group, has received the Woman and Traffic Management Award in its 4th edition, at the ceremony that took place on November 21 in Madrid. The Women and Traffic Management Awards, organized by the Association of Traffic Engineers and Mobility Technicians, are focused on recognizing the work of those women who, from the Administration, the University and the private Enterprise, have worked intensely for the traffic and, in particular, to promote Traffic Engineering in Spain. 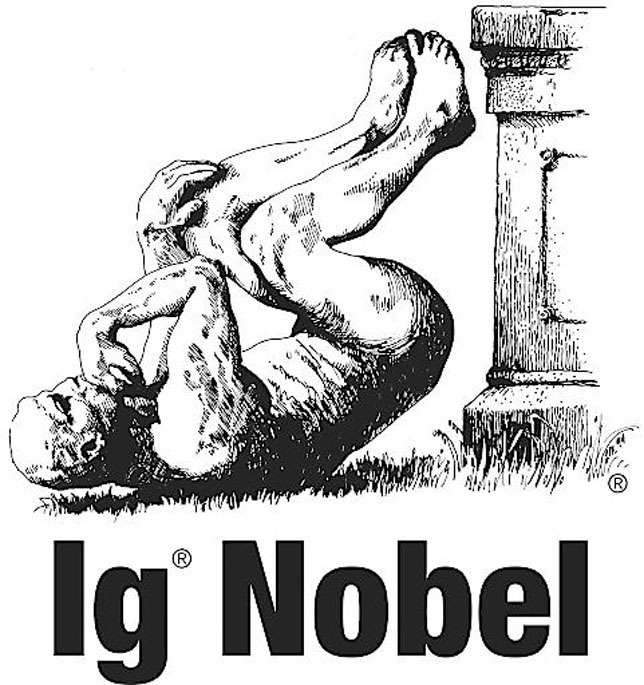 The Ig Nobel Prizes honor achievements that make people LAUGH, and then THINK. The prizes are intended to celebrate the unusual, honor the imaginative — and spur people's interest in science, medicine, and technology. Professor Luis Montoro has been awarded the Road Safety Award in the 7th Edition of the COPE Valencia Awards, which aim to recognize companies, associations and individuals that throughout the year have stood out for their work and effort in the promotion and improvement of the Valencian Community. The awards ceremony was held in Valencia on June 14, 2018. Dr. Francisco Alonso, Director of INTRAS and the DATS research group, has been awarded the Road Medal of Honor for the merits acquired during his professional life, at an event held on June 7. In his double facet of professor and researcher for 30 years, Dr. Francisco Alonso has treated the accident rate from theory and science. Psychologist of formation, began his trajectory in the Unit of Investigation in Psychology of the Traffic in the University of Valencia. From here, he encouraged and promoted the creation of the Institute he now runs, a center that is a national reference in terms of traffic and road safety. But his works, far from being reduced to the theoretical field, have always had a clear practical aspect. It has contributed, for example, to the signaling of the accident concentration sections, the reform of the Criminal Code or the development of numerous regulations and regulations in Spain and in other countries. As a researcher, he has participated or directed more than 160 projects for administrations, institutions and companies. All this work can only be justified, according to those who know it well, by motivation and the illusion of fulfilling a moral duty that aims to save lives. Gold Medal to Professional Merit bestowed to professor Luis Montoro. Last 6 March, the Gold Medal with a red emblem for Professional Merit,was bestowed by the Labour Sciences and Industrial Relations General Committee to professor Luis Montoro, full university professor in Road Safety and director of FACTHUM.lab, an INTRAS (University Research Institute on Traffic and Road Service) research group. 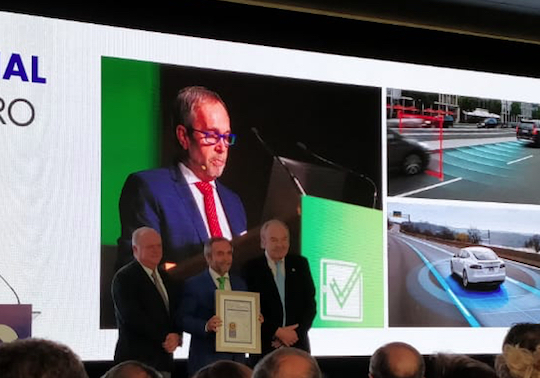 Prof. Luis Montoro, Full-University Professor of Road Safety and Director of the Research Group FACTHUM.lab of INTRAS, was awarded the Gold Medal of ‘Foro Europa’ in recognition of his work career and research in the field of traffic and road safety. 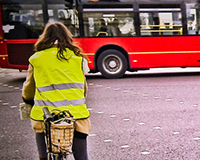 Línea Directa Aseguradora is a company socially responsible deeply committed to reducing traffic accidents in Spain. Since its inception it has developed new ways of research and analysis that have favoured the adoption of safe driving habits in our country. So once again the tasks of these entities, social foundations or social figures, which have shown their commitment with road safety, have been recognised. . Thus the Linea Directa Solidarity Award for Road Safety has awarded the University Research Institute on Traffic and Road Safety, has awarded the University Research Institute on Traffic and Road Safety , in recognition to the work of social awareness that this organisation develops, being a pioneer in our country in the application of scientific and applied research to road safety. 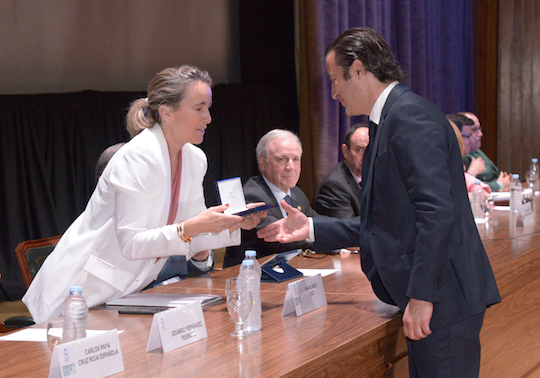 Jaume Sanmartín, director of INTRAS, received the award from the Minister of Internal Affairs, Mr Alfredo Perez Rubalcaba. El passat cap de setmana, es va celebrar a Granada els Premis Nacionals i Internacionals de Prevenció de Riscos Laborals Prever 2010, que des de fa dotze anys organitza el Consell General de Relacions Industrials i Ciències del Treball i que enguany ha comptat amb la col·laboració de l'Ajuntament de Granada. El professor D.Luis Montoro Gonzalez ha rebut el Premi Nacional de Prevenció de riscos laborals, servicis especials "Prever 2010". The , 4th Conference on Survey Methodology promoted by the International Society of Research Professionals in Surveys (SIPIE) and organised by the Public University of Navarra, was held in Pamplona on 20 to 22 September 2006. In its second edition, the Metra Seis Award to the most innovative contribution in the field of surveys methodology has awarded the project “Mètode Metras de seqüenciació d’esdeveniments en l’amibt del qüestionari estadístic d’accidents de circulació” developed by M. Teresa Tormo, Jaume Sanmartín, Maurici Chisvert and Manuel Andreu, members of the research group METRAS of the Institute. Since 1992 INTRAS and AUMAR have established a line of continuous collaboration for the development of a series of studies, researches and actions on the improvement of safety of the Mare Nostrum Highway (A7), of which AUMAR is licensee. The aim of this collaboration was, among others, the study of accidents and incidents in highways, as well as the research of the alert level in driving and risk perception, in order to prepare a set of measures and actions for improving road safety in the highway, the roads were traffic is safer and in which accidents are mainly caused by human factors. There is no doubt that this line of study and research developed by INTRAS and AUMAR has had and has a social impact that transcends the boundaries of the cooperation between university-company. ROAD SAFETY BARCELONA AWARD: IN MEMORY OF M. ANGELS JIMENEZ. 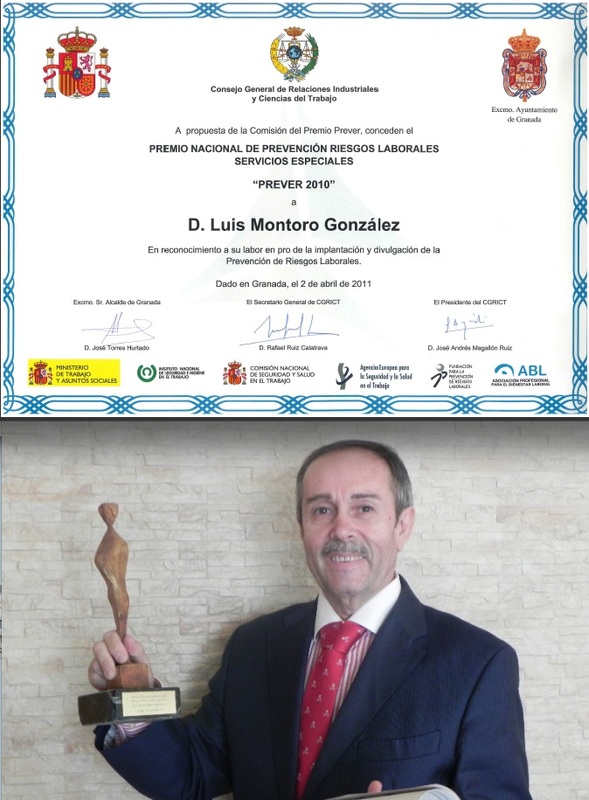 Award for best published work on road safety, one of the three modes listed in the fifteenth edition of Road Safety Award Barcelona M. Angels Jiménez in the category of Best informative work on road safety. In the category of Best informative work on road safety, the jury chose the communication campaign: "The street is also mine . Children , cities and road safety " of ATTITUDES, AUDI Social Initiative from the Institute of Traffic and Road Safety at the University of Valencia for being an information campaign based on the results of a study that analyses the travel habits and influences the improvement of road safety education for children and their families . Promoted by the City Council , in collaboration with the RACC , the association P (A) T and the insurance company AXA Assegurances, the goal of that award is to promote research and disseminate experiences or projects for urban road safety education. At the annual conference by IBTTA (International Bridge, Tunnel & Turnpike Association), held in Halifax (Canada) the study ALERTA (Factors and strategies of intervention on the level of Alert of the driver in the highway), has been awarded. This study has been developed by INTRAS (University Research Institute of Traffic and Road Safety) of the University of Valencia at the request of AUMAR (Mare Nostrum highways). The IBBTA is a prestigious global association that represents societies and companies of bridges, tunnels and turnpikes, with members on five continents and with its headquarters Washington DC. Every year, at the annual meeting, IBBTA awards a set of prizes to those researches that they consider creative and innovative and which serve for improving the flow of traffic, environmental conditions, the road safety, etc. In these ways of communication. On 27 January the general director of traffic awarded to Luis Montoro González , director of INTRAS, the Medal of Merit of Road Safety, in the category of silver, in recognition to the technical contributions and the pedagogical and training work of the University Research Institute of Traffic and Road Safety. The awarding act took place as part of the conferences for the presentation of 1999 as the year of Road Safety Education , held from 25 to 29 January in the city of Palma de Mallorca. The initiative that has given rise to the granting of this award by the Ministry of Internal Affairs proposed by the DGT means the recognition to the work done by the INTRAS for improving road safety. The multiple collaborations with public institutions, different orientation activities, additional to the training of the members of the Guardia Civil and local police, and, ultimately, to the special tendency towards road safety shown by its director, have created the propitious conditions required in the article 1 of the Royal Decree 2464/74, 9 August, which states: “… the Medal of Merit to Road Safety for awarding natural or legal persons who are distinguished by their activities in favour to road safety(…) or by their relevant collaboration with the authorities and agents to which competes its planning and control, serving eminently both from the pedagogical and technical point of view, and from the economic and social order". The INTRAS mission is to work for our society in the improvement of road safety, through research and intervention on the human factor and in its relation with the use of technology. The awarding of this medal is the recognition to this task, to their promoters and of all who to a greater or lesser extent have collaborated in this area of work of the INTRAS. Our director, Luis Montoro, has received the award that the Board of Trustees of the University of Valencia gives to the “Cooperation University-Society”, in the category of Applied Research, in recognition to the work developed in the field of Social Sciences.